WTB11. Collection of the Ms. Shiqin ONG. One of the family favorite - reserved by Shiqin. 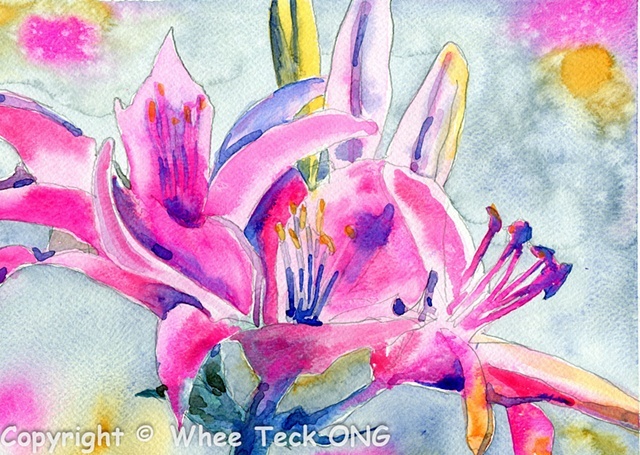 This Pink Lily with visible pencil lines is one of the earliest watercolor of lily by Whee Teck. It has a simplicity charm to it, touches of warmth - Orange, Red and contrasting cool - Blue, Turquoise, etc.